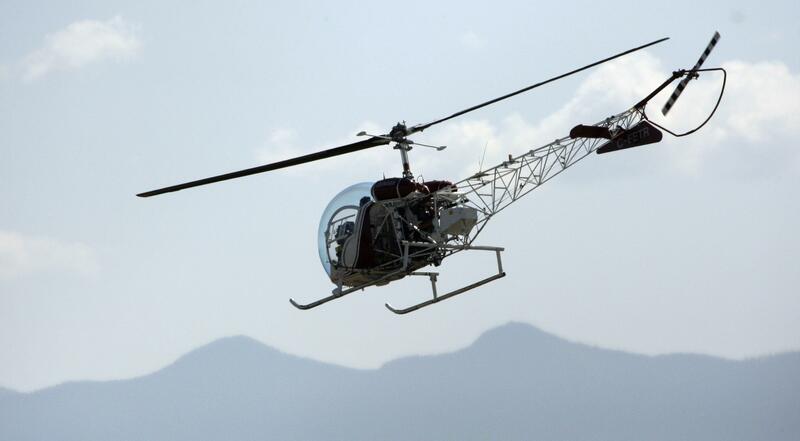 SEATTLE – A Canadian man who leased helicopters and used them to run a cross-border drug-shipping empire, helping meet the American West’s appetite for high-grade marijuana before states began legalizing the drug, has been sentenced to seven years in prison. Colin Martin, 46, was responsible for delivering thousands of pounds of “B.C. Bud” from British Columbia to remote forest clearings in Washington state and Idaho, where his pilots would drop off their cargo and pick up cocaine driven up from Southern California. He spent much of the past decade fighting extradition to the United States before being transferred to Seattle early this year to face his 2009 indictment. Martin left school in eighth grade to work as a logger. In a 2009 interview at a restaurant his mother ran in Malakwa, about a seven-hour drive northeast of Vancouver, B.C., he told the Associated Press he became involved in the drug trade after he saw his best friend killed in a logging accident. Martin first came to the attention of American authorities in the late 1990s, when he was indicted in Spokane for a drug smuggling operation that relied on small airplanes. He was never extradited in that case but was convicted in Canada for the same conduct and sentenced in 2007 to 2 1/2 years in jail. While he appealed, he continued smuggling by leasing helicopters through Gorge Timber, a company registered in his wife’s name. Investigators ultimately arrested some of the ring’s couriers and used them to build a case against Martin. One of his pilots, Sam Lindsay-Brown, hanged himself in the Spokane County Jail after flying into a law-enforcement trap in 2009, when federal agents met him as he landed in northeastern Washington state. Another, Jeremy Snow, was killed in Kelowna, British Columbia, along with his girlfriend after being released from a four-year sentence in 2013. Authorities never determined how long Martin had been running the helicopter-based business or how much drugs he was responsible for shipping. None of the money was seized, but several hundred pounds of marijuana and cocaine were. One co-conspirator told investigators the group made about six smuggling flights a month with one of the leased helicopters, with each flight hauling up to 600 pounds of marijuana. Martin would hire pilots to make the runs, typically paying them about $50,000 per round trip, as well as other workers who would help load and unload the helicopters. “This defendant, Colin Martin, built his own drug transportation empire,” Assistant U.S. Attorney Sarah Vogel told the court. Vogel requested an eight-year sentence, which was two years less than prosecutors could have sought under Martin’s plea deal involving a drug conspiracy charge. Martin’s attorney, Peter Camiel, requested the minimum, five years. Martin’s wife, Jennifer Martin, said in a phone interview Friday that she had hoped to attend the hearing with their six children, ages 5 to 17, as well as Martin’s mother, but U.S. border authorities denied them entry Thursday night. Her husband had bonded with the kids, worked for a road maintenance company and volunteered, including by painting a church, while out of custody from late 2014 to late 2017, she said. She said it was a relief that the sentencing was over, and that his prison term wasn’t longer. Washington state legalized marijuana for recreational use in 2012. Sales at state-licensed stores began in 2014 and now top $500 million a year. Canada will legalize marijuana in October. Published: June 29, 2018, 8:24 p.m. Updated: June 29, 2018, 8:36 p.m.